Fuse have completed the wedding brochure design and presentation pack for Great Fosters. An AA 4 red star Grade One listed building set amongst 50 acres of stunning gardens and parkland in Surrey. 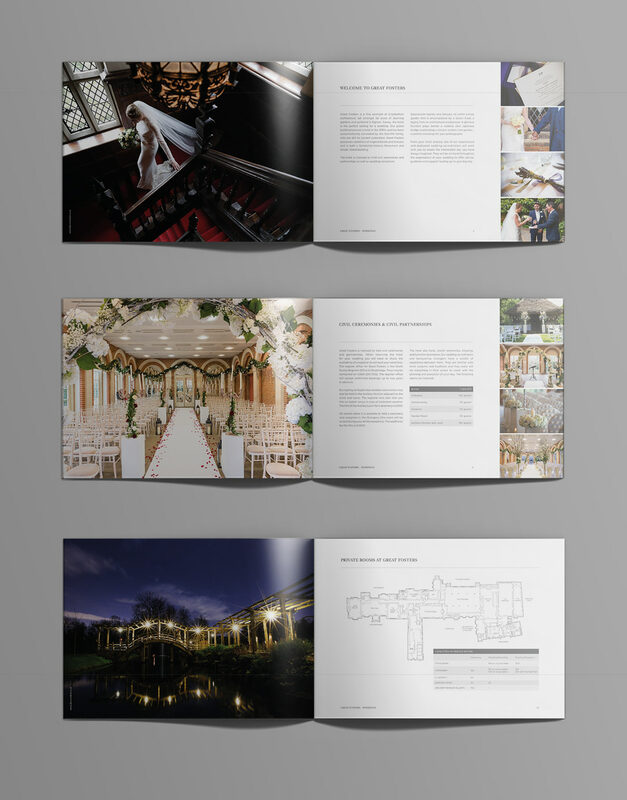 The design layout showcases the fantastic photography of the venue, with the high quality print finishing reflecting the luxurious surroundings and heritage. 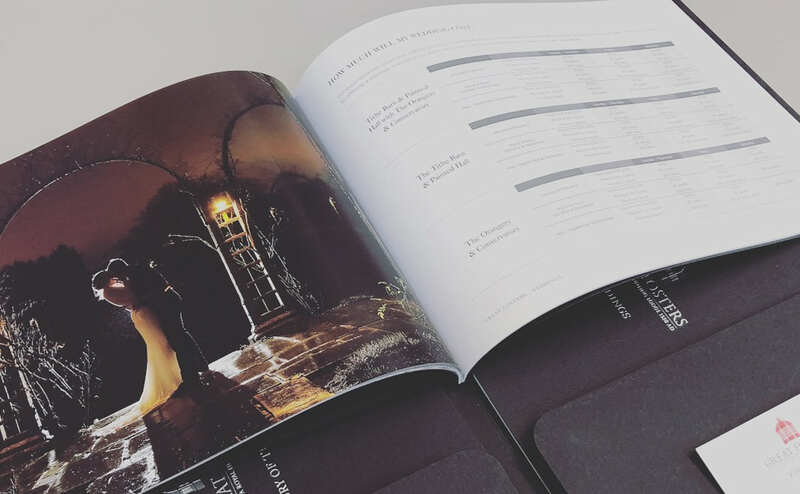 The brochure covers are on Fedrigoni Nettuno Nero stock and finished with satin silver foil. The brochure is presented in a high quality bespoke folder, therefore making it a keepsake for any prospective wedding couples.